The film features prominent Baloch actors such as Anwar Sahib Khan, Shah Nawaz Shah, Ahsan Danish and Aqib Asif. Against the backdrop of the first international expo in Gwadar, a feature film in the Balochi language that highlights the financial woes of locals was screened across Balochistan recently. Zaraab, which according to its makers is the first Balochi feature film to reach the big screen, follows the lives of four struggling individuals belonging to a family in Gwadar. It was initially screened in cinemas in Bahrain and last week it came to Pasni, Gwadar and Turbat. 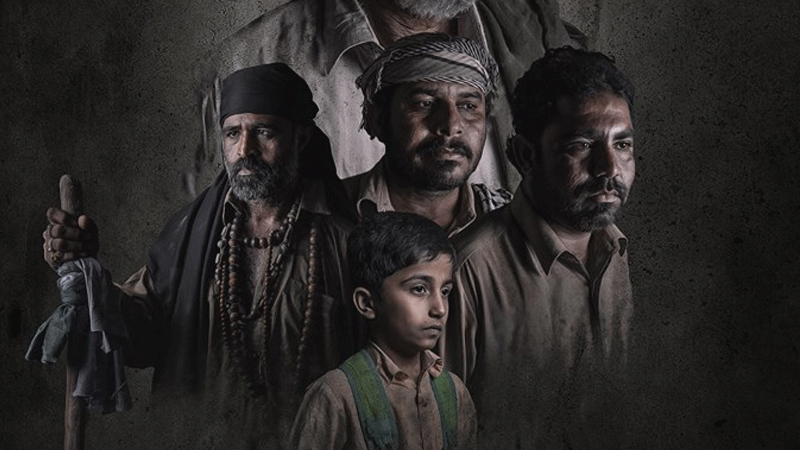 “The idea behind the film is to portray the hopes and aspirations as well as anxieties of locals in a ‘city of promising future’ —Gwadar,” Jaan al Balushi, the Bahrain-based filmmaker and director of Zaraab, told Dawn. The story offers a window into two days of a family’s lives, touching upon important issues like unemployment, poverty and child labour. “There are a lot of under-age children doing labour work who should be in schools instead,” said Mr Balushi. In fact, he added, the film was titled Zaraab (the heat) to emphasise the characters’ burning desire to free themselves of their burden of responsibilities. The director, however, does not hesitate to point towards the impact of China-Pakistan Economic Corridor (CPEC) on the region’s culture. A few seconds into the film’s trailer, conversations about the importance of languages come into play. A student asks his teacher — who says he is paid to teach English by the government — to teach him Balochi. The matter gets trivialised further when the teacher is requested to teach Chinese as it will guarantee a better future for the students. Besides the political limitations of the film, the makers of Zaraab — Jaan Click Media from Bahrain in association with Balm Films Production in Gwadar — had a few cultural barriers to face. “The film has an all-male cast, but the original script was different. We had to drop the mother’s role since there were no female actors willing to work in Gwadar,” Zakir Daad, assistant director of the film, told Dawn. “The people here love films. In the few screenings we have had so far, 1,500 to 1,600 people came to see the movie,” he added. Mr Daad stressed the need for cinemas in the region, pointing out that Gwadar does not have even one cinema. According to Balochi and Sindhi writer Dr Shah Mohammad Marri, the threat to Balochi literature and culture stems from the political situation in Balochistan. “Sixteen Balochi-language folk stories have been adapted into various forms of poetry worldwide. No other regional language is as diverse in nature,” he said speaking to Dawn. “There are no publishing houses, libraries or culture centres in the province...how will the generation keep the language alive?” he wondered, lauding young filmmakers making movies on Balochi culture. Determined to bring the Balochi language to the forefront, Zaraab directors said the film would be screened in Karachi’s Arts Council soon as well as in Oman, the UAE, Canada and Germany.